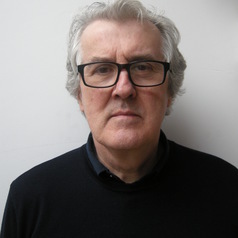 Paul Crosby is a senior lecturer teaching on the undergraduate and postgraduate courses in architecture at Nottingham Trent University. He qualified as an architect in 1987 and in the early part of his career worked in Berlin and Leipzig. He has significant international experience and has held senior positions in the design studios of David Chipperfield, Zaha Hadid and Martha Schwartz. Paul has a research interest in the design process and the culture and ethos of design studios particularly as they evolve and grow.